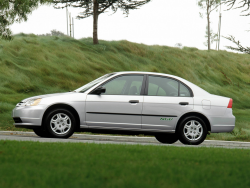 Honda Confirms 14th Takata-Related Death in U.S.
Honda confirms that a 2002 Civic owner was killed by injuries sustained by an exploding Takata airbag. This is the 14th Takata-related fatality for Honda occupants in the U.S. The 2001-2002 Civic is on “high risk” list for explosions, but this vehicle was never repaired. The victim bought the car less than 3 months before the accident and Honda was unaware of the ownership change. Previous owners had ignored 12 recall notices and more than 20 calls urging them to get the repairs done.